A stop loss order is an automated instruction to the trading system to sell (or cover) a stock if it reaches a specified price. It is computer-activated and is usually set in advance. The idea behind placing a “stop loss” order is to protect the trader from incurring losses that exceed his targets. You short sell Tata Steel shares at Rs 550 because you reckon the price will fall. But you’d like to limit your loss in case the stock rises. Therefore, you place a Stop Loss Buy order at 570 because a 20 bucks loss is the maximum you are willing to bear. If Tata Steel starts rising and zooms to 590, your short sale will get covered at 570, and you will end up losing 20 bucks instead of 40. If Tata Steel falls as per your expectations, you can cover it book profits. You buy Tata Steel shares at Rs 550 because you reckon the price will rise. But you’d like to limit your loss in case the stock falls. Therefore, you place a Stop Loss Sell order at 530 because a 20 bucks loss is the maximum you are willing to bear. If Tata Steel starts falling and drops to 510, your position will get sold at 530, and you will end up losing 20 bucks instead of 40. If Tata Steel rises as per your expectations, you can cover it book profits. It protects traders and short term investors from unbudgeted losses. Helps traders focus on many deals. As stop loss trades are executed automatically, and therefore it saves the trader a lot of administrative time and unnecessary tension. It allows traders to budget their losses and gain better control of their trading capital. These days markets are governed more by news than by technicals. Moreover, there is massive algo trading going on these days, ad so it is possible that a stop loss order gets triggered unexpectedly and then reverses, leaving a bad taste in your mouth and an unnecessary hole in your pocket. Setting a stop loss is tricky and there’s no one answer for the optimum stop loss trigger. Who Should Set Stop Loss Levels – Trader or Investor? Stop loss is a must for every trader (day, short term, swing trader) if he wants to protect his capital from extreme risk in an uncertain environment. If you are a trader who wants to protect capital, you MUST apply a stop loss to your every trade. Now comes the interesting part – Should an investor work with a stop loss level? Well, an investor knows his stocks much better than a trader does. Traders typically work on charts while an investor researches the business model, fundamentals and management quality. Typically seasoned investors are so sure about their stocks that they average their stocks on the way down. Let me give you an example: I had picked up LIC Housing Finance at 280 or so in 2012. In 2013 it crashed to 160 or so. It was a quality stock, and I averaged it when it started recovering (at around 190), and brought the cost down to 235. Within 8 months it zoomed to 400. So, if you are an investor, you already would have understood what to do. 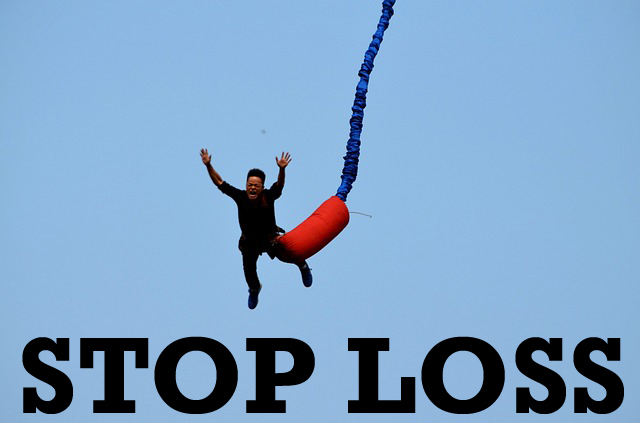 What Stop Loss Level Should I set? Stop loss is a must for every trader (day, short term, swing trader) if he wants to protect his capital from extreme risk in an dicey market. 1. Rule of Thumb: by ascertaining the risk-reward ratio for that trade and determining how much you are willing to lose. 2 Percentage: Professional traders book profits or losses (or train these) based on percentages. If your trading rule is to make or lose 3% per trade, you should apply that % while setting up stop loss levels. You also should train stop loss levels too. For example, if you have shorted Tata Steel at 550, and it falls to 534, you’d have achieved your profit target. However, if you expect the stock to fall further, you can trail your stop loss to say about 545 and keep enjoying the fall. If the stock rises and if your stop loss order gets triggered, you anyway end up making a cool 1% gain. 3. Support Levels: Professional traders typically check retracement or support levels on the charts and determine their stop losses based on their analyses. 4. Moving Averages: Professional traders also can set stop losses based on the near term moving average. The near term moving average can be a 1-hour moving average for a day trader or a daily moving average for a swing trader. Well, that’s all there is to it. Just remember that stop losses are mandatory for all types of traders, and you always must set these if you want discipline in your trading life. Sir You are doing great for traders, I request to add importance of Stop loss, which I think very much important for each and every trader / investor to sustain. 4 Comments on "The Importance of Stop Loss, And How To Set It"
Nice insights in using SL for trading. For an investor does 200 day EMA hold as a SL in the event of extreme volatility. Do u believe investment themes should never have SL associated to them. Thank you sir, im an investor and have 150 shares of canfin homes at price avg 550Rs now it is falling like a knife even after good results current price is 386.25 what should i do average and add in sip or sell and book loss sir… it is a fundamendally strong company…. It depends on your investment strategy. If you have bought long term with conviction, hold on. If you have bought for the short term and need money or can see better opportunities, book loss. It all depends on your investment strategy.